Ravindra Jadeja pulls Rashid khan with one run to win off fifth ball of the last over and gets caught, match ends in a tie. 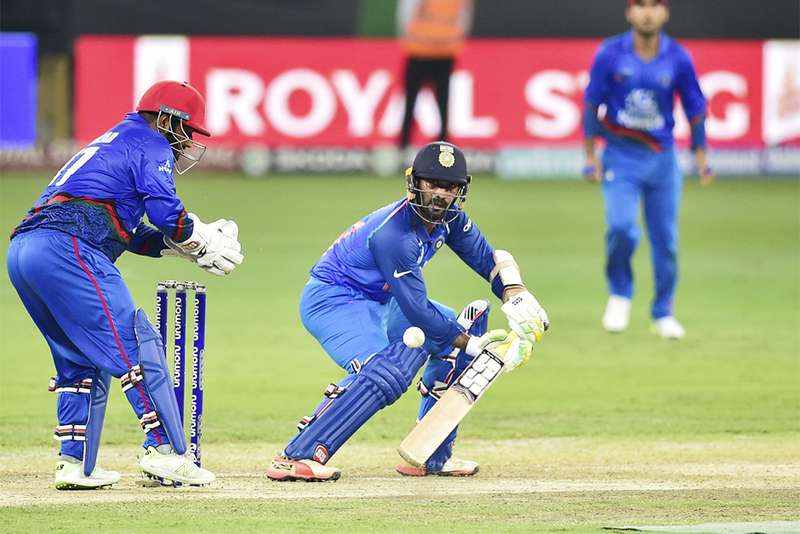 Mohammad Shahzad's 124 lifted Afghanistan to 252-8 in 50 overs while India were all out in 49.5 overs with the scores level. Title holders India have already qualified for Friday's final where they meet the winners of Pakistan and Bangladesh match in Abu Dhabi on Wednesday. Last over: India need seven runs with one wicket in hand. Will Afghanistan win? Kuldip Yadav is run out and India need 9 off 9. India need 13 runs from the last two overs, thrilling finish. Wil india go unbeaten into the final? They need 17 runs from last 18 balls. Aftab Alam clean bowls Deepak Chahar for 9. Can india make it? India need 27 runs in 31 balls. India need 30 runs off 36 balls with four wickets in hand. Can Afghanistan stop them? A well settled Dinesh Karthik falls for 44 and India need 48 runs in 10.2 overs with four wickets in hand. India's 5th wicket is gone, Kedar Jadhav is run out by Mujeeb Ur Rahman for 19. Total reach 205 for 5 in 39 overs. India 202 for 4 in 38 overs, need 51 off 74 balls. Dinesh Karthik nearing half century. India 4 down, Manish Panday departs, caught by Mohammad Shahzad off Aftab Alam for 8, in the 31st over. India is 164 for 3 in 30 overs. Dinesh Karthik playing on 26 with Manish Panday on 8. India lose their 3rd wicket, Mahendra Singh Dhoni falls for 8, trapped lbw off Javed Ahmadi. India 143 for 3 in 26 overs. Fans silent. India need 110 runs more to win. KL Rahul falls for 60, trapped leg before by Rashid Khan. Skipper MS Dhoni walks in. India need another 125 more runs to win with eight wickets in hand. India reach 127 for 1 in 20 overs, KL Rahul playing on 60 with Dinesh Karthick on 6. India's 1st wicket falls, AT Rayudu is caught by Najibullah Zadran off Mohammad Nabi for 57. India is 110 for 1 in the 18th over. Ambati Rayudu reaches his eighth ODI half century, India 103 for no loss in 16 overs. Indian openers KL Rahul (32) and Ambati Rayudu (37) put on 73 runs in 11 overs. India off to a smooth start scoring 37 runs in 7 overs. KL Rahul, playing his first game in the Asia Cup, is opening with Ambati Rayudu. 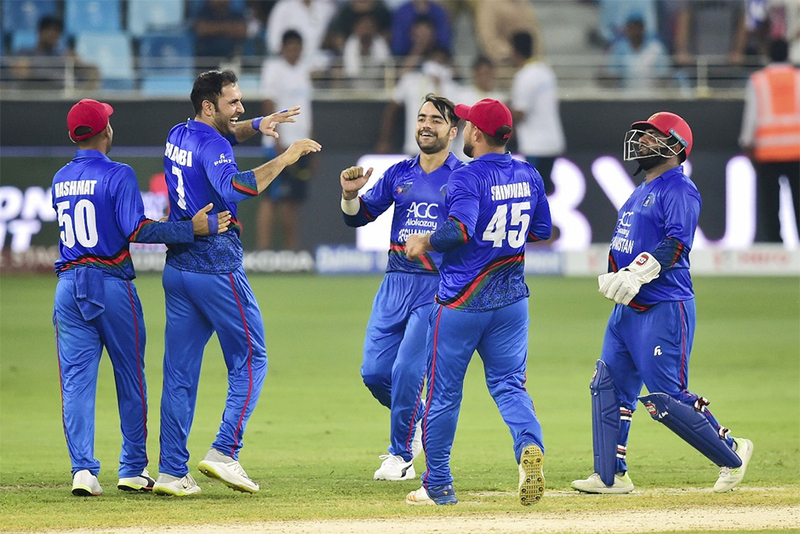 Innings break: Afghanistan posted a competitive 252 for 8 in 50 overs with the help of Mohammad Shahzad's (124) brilliant ton and Mohammad Nabi's (64) half century. Afghanistan reach 228 for 7 in 45 overs. Mohammad Nabi is playing on 52 with Rashid Khan on 2. Afghanistan cross 200-mark in the 42nd over. Super innings from Mohammad Shahzad comes to an end, is caught by Dinesh Karthik off Kedar Jadhav for 124. He has hit 11 boundaries and 7 sixes in his 116 balls knock. Afghanistan is 180 for 6 in 38 overs. Afghanistan is 163 for 5 in 35 overs, Mohammad Shahzad is playing 116 not out with Mohammad Nabi on 17. Mohammad Shahzad of Afghanistan completes his 5th ODI century. He hits a bounday off Deepak Chahar and reaches 103 from 88 balls. They lose their 5th wicket too in the same over and is 133 for 5 in 29 overs. After 25 overs Afghanistan is 117 for 4. Mohammad Shahzad is on 97 not out and Gulbadin Naib on 6. Afghanistan reach 100 in 19 overs. Mohammad Shahzad is looking in brilliant form and has already scored 86 off 68 balls so far. 4th wicket falls. Kuldeep Yadav strikes in successive deliveries, clean bowl Asghar Afghan for 0. Afghanistan is 82 for 4 at the end of 16th over. 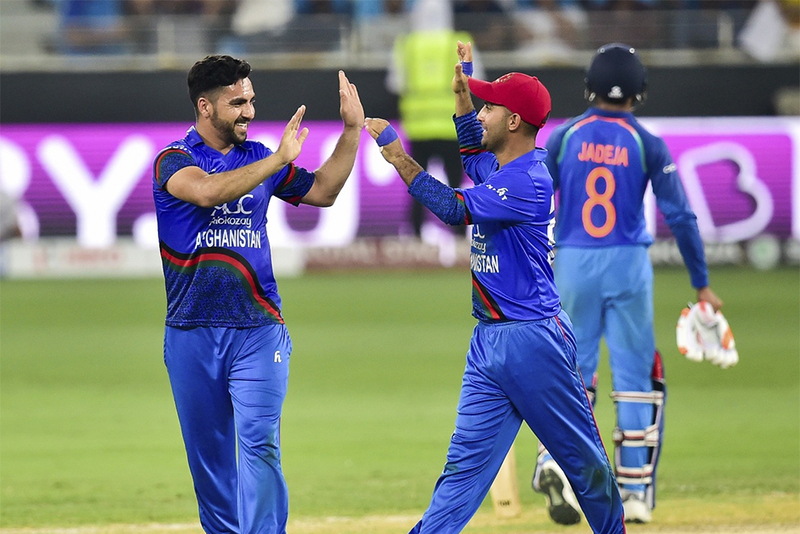 Ravindra Jadeja and Kuldeep Yadav took two wickets each after opener Shahzad scored a brilliant half century for Afghanistan. 3rd wicket falls in the 16th over, Hashmatullah Shahidi is stumped by MS Dhoni off Kuldeep Yadav for 0. Afghanistan lose thier 2nd wicket, Rahmat Shah is clean bowled by Ravindra Jadeja for 3. Score is 82 for 2 in 15 overs. First wicket falls, Javed Ahmadi is stumped by MS Dhoni off Ravindra Jadeja for 5. Afghanistan is 67 for 1 in 13 overs. Afghanistan cross the 50-mark in the 9th over, with Mohammad Shahzad playing on 50 not out with Javed Ahmadi on 3 not out. Team score is is 57 for no loss. 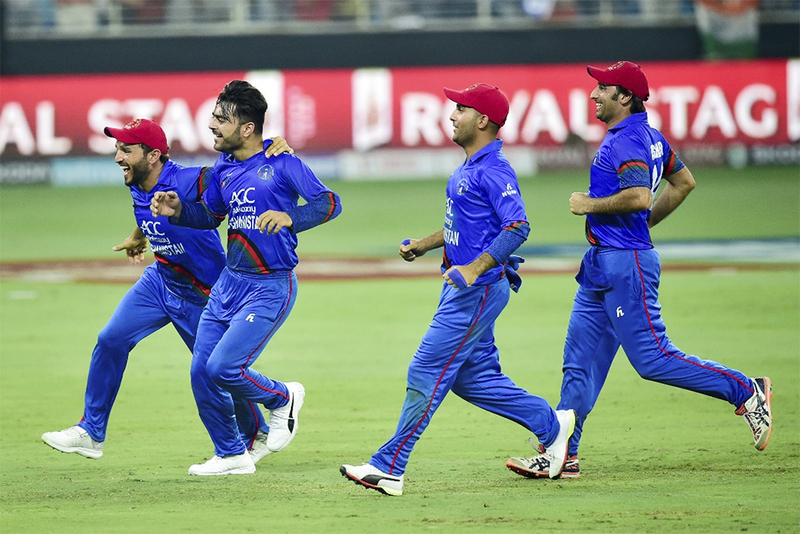 Afghanistan openers begin well, reach 35 for no loss in 4 overs. Mohammad Shahzad is playing on 28 and Javed Ahmadi on 3. The Indian team is being led by Mahendra Singh Dhoni today as many players rested and this match is Dhoni's 200th ODI as a captain. India made wholesome changes in their playing XI by resting skipper Rohit Sharma and his opening partner Shikhar Dhawan, leg-spinner Yuzvendra Chahal and the pace duo of Bhuvneshwar Kumar and Jasprit Bumrah. Lokesh Rahul, Manish Pandey, Deepak Chahar, Siddarth Kaul and Khaleel Ahmed have been included in the playing XI. Meahwhile, Afghanistan made two changes to their team. Samiullah and Ihsanullah were replaced by Najibullah Zadran and Javed Ahmadi. The match is inconsequential as title holders India have already qualified for the final to be played in Dubai on Friday while Afghanistan are out of contention. The second finalist will be decided in the last Super Four game between Pakistan and Bangladesh in Abu Dhabi on Wednesday.